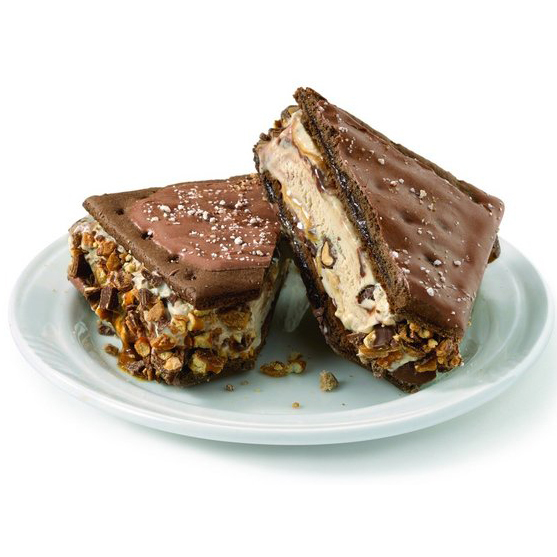 The Filling: Friendly’s Candy Bar ice cream—a nougat base with chocolate covered peanuts, milk chocolate chunks and swirls of fudge and caramel. A quick roll in some broken pieces of a Take 5 candy bar (seriously, how many childhood memories can they pack in a single dessert?) and this thing is complete.